THE NETHERLANDS, The Hague — On the 22nd of November 2016, Palestinian human rights groups urged the Prosecutor of the International Criminal Court (ICC) to examine the Israeli closure of the Gaza Strip, which has denied two million Palestinians a panoply of fundamental rights for nearly a decade, as the crime against humanity of persecution under the Rome Statute. 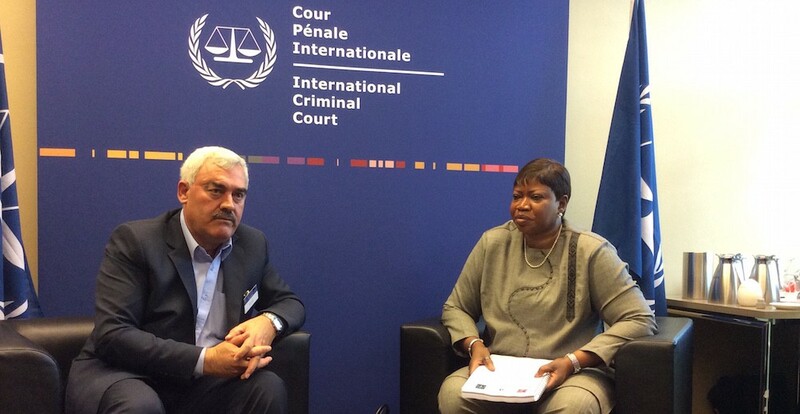 The Palestinian Centre for Human Rights (PCHR), Al Mezan Center for Human Rights, Al-Haq, and Addameer submitted a 145-page file (PDF) to the ICC Prosecutor setting out the factual and legal basis for the case. To coincide with the submission to the ICC, the Palestinian human rights organizations have prepared an executive summary (PDF) of the submission and a short documentary video (YouTube) illustrating the impact of the closure on daily life in Gaza.